When you get into a car accident, and you suffer injuries, people start asking you whether you have hired a lawyer. You will get a lot of opinions ranging from "you need a lawyer" to "it is a waste of time to hire an attorney." Who is right? It depends on the case. 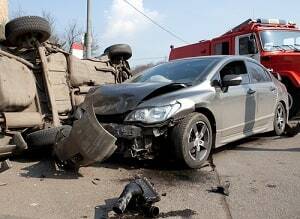 If you have a severe injury or wrongful death claim in Maryland, you should hire a lawyer. You cannot pick just any lawyer. Most Maryland attorneys are not qualified to handle your significant injury or fatality case. You do not go to a cardiologist when you break your leg, right? You need someone who is experienced handling these cases and has a history of success in Maryland, both at trial and at the settlement table. Why? There are lots of reasons. But the biggest is that there is a broad range of potential values in personal injury cases. You want to be on the high-end range of settlement value for your case because you can drive a truck through the difference between the high and low values of a case. The best lawyers are the ones that the insurance companies fear. Whether you want to go to trial or whether you want to settle your case, you want a lawyer who puts the insurance company on their heels and knows how to push to get you as much money as possible in your case. This requires both skill and tenacity. The insurance companies know the Miller & Zois name means we are coming after them. This is why the offer when a lawyer refers a case to us, the offer often skyrockets. But in small cases, this fear yields less fruit. Why? Because the worst case verdict scenario is still not a huge deal to the insurance company. No one is losing their job or getting demoted because they misread the value of a small Maryland state district court claim. Having a good lawyer can be a game changer in any case. But honestly requires us to tell you this: quality lawyering matters less in most smaller cases when it comes to pre-trial settlement. With all of that said, is it worth it to hire a lawyer if you have less than $5,000 in medical bills? Asked differently, will you get more than 33% or 40% more for your case by hiring a lawyer than if you handled the case yourself? Probably. But there are certainly cases where the opposite is true, and you put less money in your pocket from hiring a lawyer than you would have if you had just handled the claim yourself. How do you know, as the victim, which cases are the ones where getting a lawyer increases your recovery and which ones will decrease your recovery? You just cannot know. But that is the risk you take if you try to handle it yourself. The jurisdiction you are in matters in valuing a personal injury claim. A look at claims in every county in Maryland. Keep in mind that "handle it yourself" actually means "settle it yourself." If you are filing a claim for more than $5,000, there are procedural things that you must do to make certain your claim is heard (the most notable is discussed here). If you are filing suit or going to trial, you run a grave risk of getting your case dismissed for failure to do some technical thing that you must do to maintain your claim. The collateral source rule. In Maryland, there is a rule of evidence called the collateral source rule. 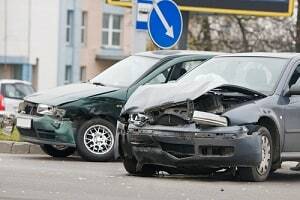 It means that the at-fault driver's insurance company is obligated to pay for all of the damage caused regardless of insurance or any other payments you receive. The most common example of this is PIP payments. Your PIP pays for at least some of your medical bills from the crash. But the at-fault carrier in Maryland is also obligated to compensate you again for those very same losses. The same goes for lost wages. You can get paid for the time you miss from work even if PIP and/or your employer continued to pay you. That is counterintuitive, and the insurance company is sure to try to take advantage of your misconception. They adjusters generally will not lie to you, but they will play to your failure to understand the law. "Your medical bills were paid for, and your employer paid you when you were out, so we are just talking about pain and suffering, right?" is how they will pitch it to you. Their first offer is just a first offer. When dealing with victims directly, they try to instill fear that their first offer is their last offer and to reject it risks having them pull the settlement off the table. Could it be their first and final offer? Could they pull the settlement off the table? Yes and yes. But both are extremely unlikely. It has happened to our firm a few times but the original offer returned plus a lot more in every case where this has happened. A recorded statement is never a good idea. Sure, there are some situations where it may be that you have a contractual obligation in an uninsured motorist claim to give a recorded statement. But they are never going to help you get more money for your case. It is just a weapon the insurance companies use against you. The statute of limitations is a hard deadline. Many insurance companies negotiate with victims up to the statute of limitations. When the deadline passes, there are stunningly few exceptions that will extend your time to file a claim. If you start arguing about what is fair with the statute of limitations, you have most likely already lost. You don't need to make a settlement demand. Many times the victim makes a demand for settlement, and the insurance company says yes. If this happens, you can bet the insurance company probably valued the claim much higher and was thrilled your demand came in so low. The best thing for a victim to do is to collect their own medical records and bills and ask the insurance company to make the first offer. You are pushing the ball up a big hill if you are trying to handle your auto tort case. They spend millions and millions of dollars to create ways to avoid paying you the money you should get for your claim. Below are some resources that can help you narrow the gap between you and the insurance companies.